The Sunrise Theater is situated amidst the magnolias and long-leaf pines on Broad Street in Southern Pines, North Carolina. The building, erected in 1898, began as a hardware store. 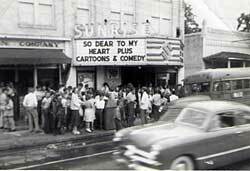 In the 1940s, the building became a movie theater which remained a staple of downtown Southern Pines for over 40 years. 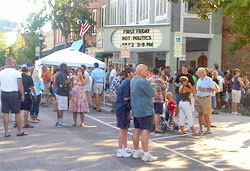 When the movie house closed its doors, for what appeared to be its last time, in the early 1980s, the Arts Council of Moore County (ACMC) and the Sandhills Little Theater rallied enough community support to restore the building and give it a third life as the Performing Arts Center, owned and operated by ACMC. In 1998, ACMC transferred the theater's operation to the Sunrise Preservation Group (SPG), citizens concerned with keeping the theater alive for the community. SPG formed a not-for-profit organization and through dedicated effort, compromise and goodwill, the historical theater building has a new lease on life. ACMC transferred ownership of the theater building to the Sunrise Preservation Group in 2005. Today, the Sunrise Preservation Group is running a thriving entertainment center, an "Art House" of sorts. With first-run and independent films running weekly, the movies at Sunrise have become a popular source of entertainment for Sandhills residents. 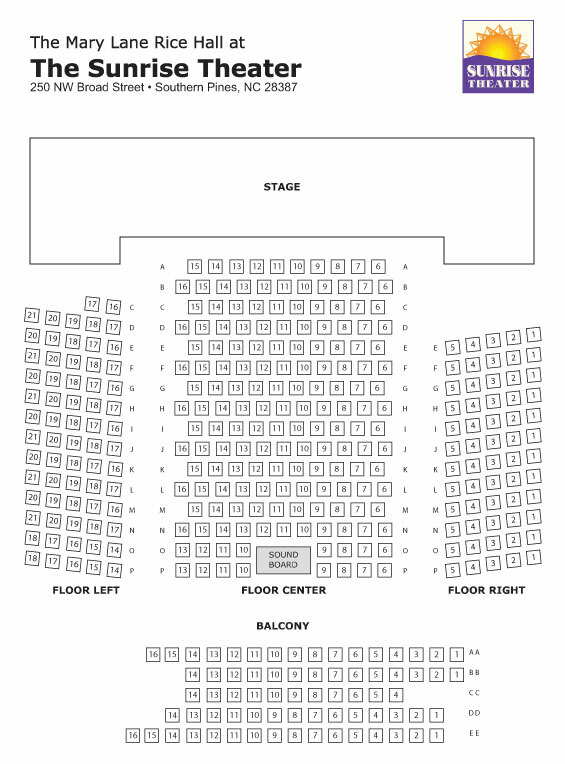 Musical concerts, live broadcasts of the Met Opera, live community theater and a smorgasbord of other offerings has helped Sunrise Theater continue to be the cornerstone of arts and entertainment in the Sandhills. The illustrated history of the Sunrise Theater from 1898 to 2016 is presented in the image to the left. 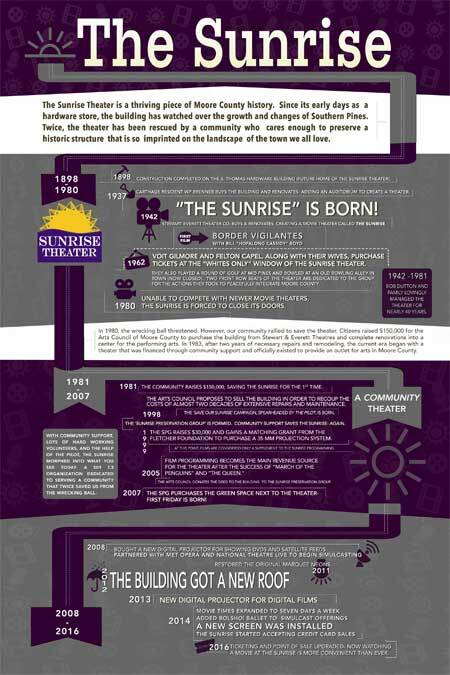 In addition to the timeline of events, it is sprinkled with interesting trivia about the Sunrise. To view a larger, more legible image, simply click on "The Sunrise" image on the left. It will open the larger image in browser window of it's own. 2017 "Best of the Pines"
This image links to a "print quality" version of this image. Clicking on the image will open the printable verion in a new window.